At its most basic, micro-targeting is the hyper-segmentation of audiences coupled with personalized messages or offers to increase conversions. Your favorite brands do this all the time, and it’s pretty effective. Once you know what your audience wants and their specific demographics you can use this to make compelling ads that are highly relevant. 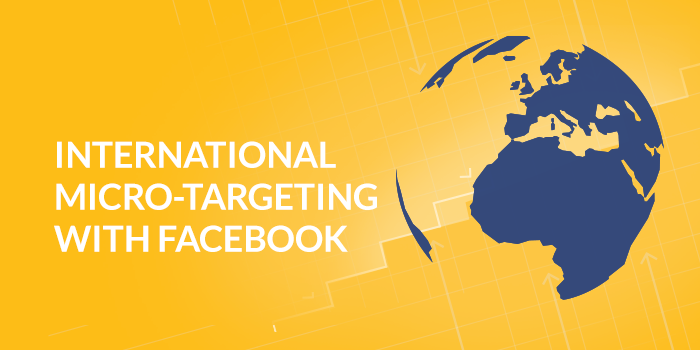 For international markets, micro-targeting has become an essential component of most campaigns because it allows you to granularly target your audience. Here’s a look at how you can set up micro-targeting campaigns on Facebook today. Facebook may be changing its policies, but there are still ways to appeal to international social audiences.